Flavour mix for maximum variety. 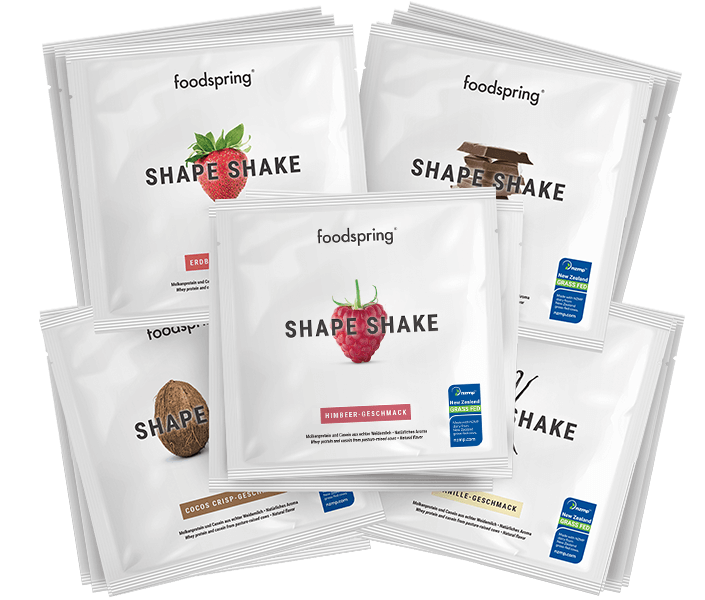 Each Shape Shake-To-Go pack is exactly portioned for one shake (contains 30 g of powder). Mix each pack with 300 ml of water or low-fat milk. Pour the liquid into the shaker, add the shape shake powder and shake well for 20-30 seconds. Pair our shape shake with your dinner, as it contains very little carbohydrates and fats. The perfect healthy substitute for sweets. No more pesky cravings in the evening. Shape Shake To Go Mix will be back in stock shortly.